The mornings seem ripe with an unexpected mix of calm and chaos. The opportunity of a new day filled with potential, simultaneously brings both the peace of a clean slate and the anxiety of a potentially wasted opportunity. By lunch I’ll be bored and tired; in need of a break; unmotivated to write or read. And I’ll find myself spending the afternoon in a state of unproductive meandering and bouncing around my inboxes without actually accomplishing a thing. Ugh. What a frustrating way to live each day. I would start out excited to begin the day and do something great. But then I’d be frustrated by the end of the day, wondering what happened. This is, of course, no longer the case for me. But even still, if there is one thing I have learned about focus and time management over the years, it is that how we spend our time and energy is an ever moving target. Seasons of life change. Priorities and goals change. Our daily routines change. And thus, so too must we change how we spend our time. Create a schedule and then and forget about it. Spending your day responding to other people’s urgent issues. Doing mostly shallow, busy work because you’re lacking clarity or motivation to do deeper work. Not setting aside time to rest, think, and breathe. Not following through with the commitments and promises you make to yourself. Not using routines and systems to make things easier on yourself. Creating a schedule but then getting frustrated when you don’t keep it perfectly, 100%. The Focus Course has an approach to time management that is very different than you may think. It’s not about filling your day with busy work. Rather it’s about setting boundaries around the things which matter most to you and then protecting those boundaries. 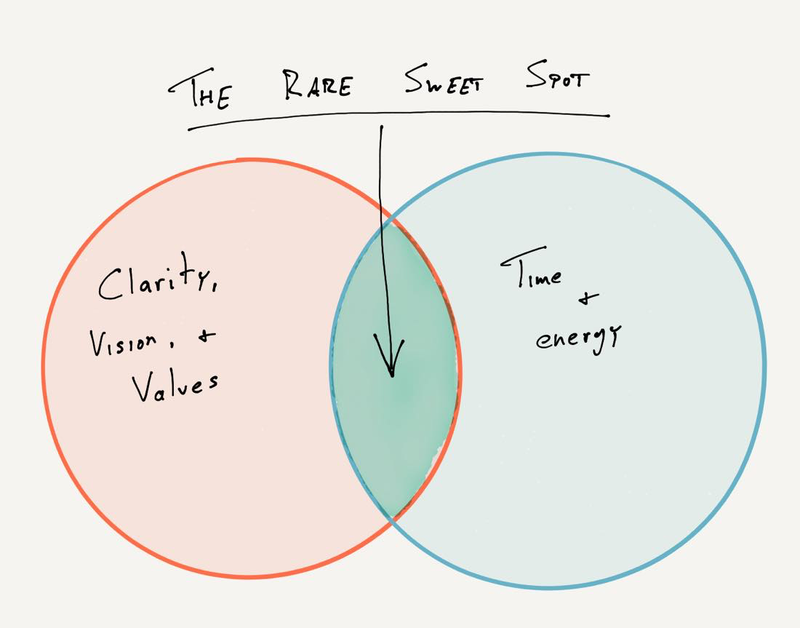 You have to find that rare sweet spot where your calendar overlaps with your values, and then stay there. It sounds easy and obvious. But you’d be surprised how many people fill their day doing things they don’t want to do. On my calendar you’ll find things like Netflix. And family day. And date night. And nothing at all. Yep. Those are all things on my weekly calendar. They are all just as important as my morning writing time and other business-y stuff I do. Moreover, you’d be surprised how lenient we are when it comes to “keeping a schedule”. The truth is that your schedule should be there to help you make sure you’re on the right track. It’s there to help you spend your time on the things of your work, your life, your relationships, and your health that matter most to you. I am glad that I did this time budget. I wanted to do it for many years. But it was too overwhelming to even start it. This course helped me do that. And I have the flexibility to try and complete 75-80% and still get an A+! I like the flexibility. It helps get me out of the “all or nothing” and “complete success or failure” thinking. Each day I am taking small steps to becoming the person I want to be thanks to this course. Consider how much time you will regain when you have systems in place to help you focus on doing what matters. How liberating will it be when you have more clarity about your life’s vision, values, and goals? How long have you been trying to gain traction on your projects? How many hours of your day are you spending on things that truly matter? Mo Bunnell is the founder and CEO of Bunnell Idea Group. He’s a business development coach living in Atlanta with his wife and daughters. In the summer of 2015, Mo signed up for The Focus Course. Most people want to improve how they are spending their time. We help folks get organized and back in control. After going through the Focus Course, our alumni have more focus, are owning their time, and have traction with their goals.